Bet International Viewer’s Choice 2016 Award winner Folarin Falana aka Falz The Bahd Guy is set to embark on a US Tour with foremost entertainment company Big A Entertainment. Big A Entertainment is a seasoned hand when it comes to international tours having worked with the likes of Wizkid, Davido, Timaya, Flavour, Diamond Platnumz, Kcee, 2baba, Demarco and a host of international acts. This tour would see Falz performing in several cities across the US as his brand continues to grow in Diaspora. The Bahd Guys Crew are excited about this tour and can’t wait to feel the love of the fans. Falz would be performing his hit songs like ‘Soft Work‘, ‘Soldier‘ ‘Wehdonesir‘ and many more from his repertoire of hits. 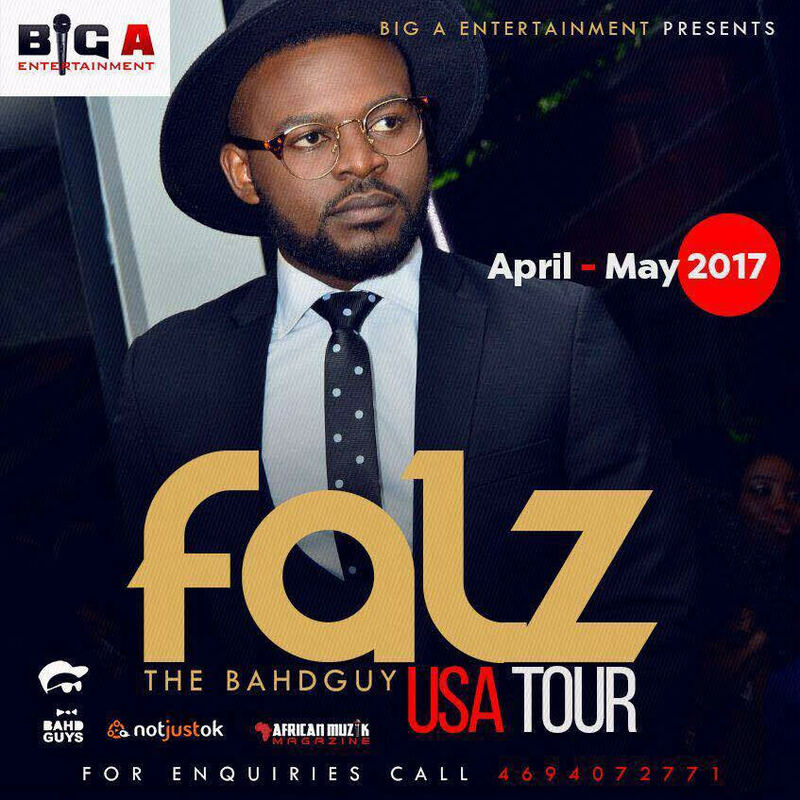 Watch out for Falz coming to a city near you if you are in the United States powered by Big A Entertainment.